computer and making it available for everyone is at the core of the Chromebook vision. It’s exciting to see people using Chromebooks as the perfect additional computer in the home, and we continue to work with our partners to make them easy-to-use and more affordable. Today, we’re delighted that our partner Acer is introducing a new addition to the Chromebook family: the new Acer C7 Chromebook. As you’d expect from a Chromebook, it’s easy to share with others around the home. Moms, dads, siblings or even your roommate can all have separate accounts and simply log in to get things done. And because Chromebooks bring you the best of Google, if you use products like Gmail, Drive, Maps, YouTube and Google+, your stuff is always available and everything just works. Starting tomorrow, the Acer Chromebook will be available for $199 in the U.S. on Google Play, BestBuy.com and rolling out this week in select Best Buy stores. In the U.K., it’s available on Google Play, Amazon UK, PC World and Currys. We’re working hard to bring it to more countries soon. 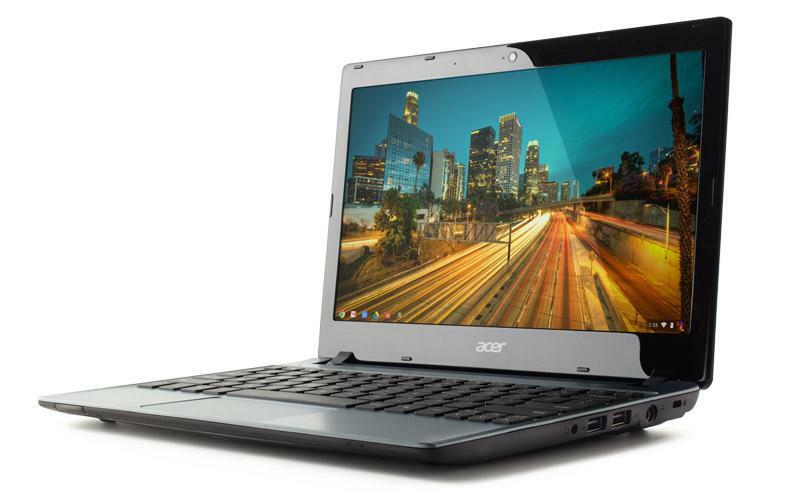 Together with Acer, it’s great to welcome the newest addition to the Chromebook family. We hope it will make a great additional computer for your family, too. New Chromebooks, for everyone. *You will have 100 GB of free storage for 2 years, starting on the date you redeem the offer on eligible Chrome devices. Update 11/15: The latest update for the Acer C7 Chromebook enhances battery life to 4 hours. You should get this update when you open your computer for the first time. Thanks to auto-updates, you already have a better computer than the one you bought. Creating a better, simpler computer and making it available for everyone is at the core of the Chromebook vision. It’s exciting to see people using Chromebooks as the perfect additional computer in the home, and we continue to work with our partners to make them easy-to-use and more affordable. Today, we’re delighted that our partner Acer is introducing a new addition to the Chromebook family: the new Acer C7 Chromebook.